A number of institutions and experts are engaged in developing and applying monitoring and evaluation methodologies and techniques to peacekeeping and peacebuilding operations. In recent years, these operations have been tasked with mandates that are more complex and ambitious than ever before and that strive for integration and system-wide coherence. Their scope and complexity have necessitated the development of a wide array of sophisticated M&E systems, many of which analyze the overall or system-wide impact of peace operations and attempt to provide greater clarity on what constitutes success and effectiveness in these operations over the short, medium, and long terms. 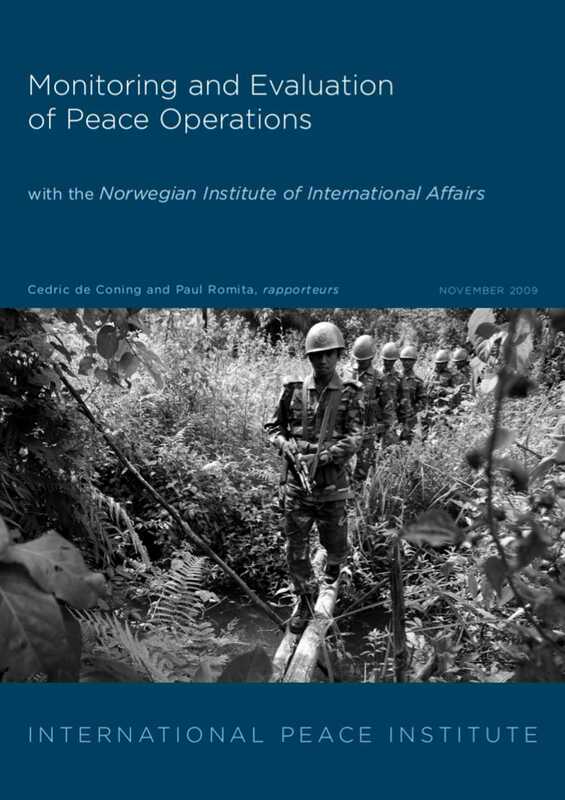 It is against this background that the Norwegian Institute of International Affairs (NUPI) and the International Peace Institute (IPI) hosted a workshop on the “Monitoring and Evaluation of Peace Operations,” in New York on May 7-8, 2009. The workshop highlighted many of the theoretical, methodological, and institutional issues related to M&E processes. It was structured around case studies that represented a variety of real-time, midterm, and end-of-phase M&E systems. These focused on a range of integrated strategic frameworks (Afghanistan, Burundi, and Liberia), which analyze the effects of the peace process as a whole, as well as mission- and campaign-specific frameworks (Chad/Central African Republic, Democratic Republic of the Congo, and Haiti), which explore the contributions of these missions and campaigns in the context of wider peace processes.